More and more people are looking to purchase organic foods in the belief that organically grown food is healthier. There has been growing concern about possible health impacts from the agrochemicals used in traditional crop production. These chemicals have included pesticides growth regulators and various petrochemical fertilizers. Many of these synthetic chemicals are not permitted in organically grown food. This often requires organic farmers to adopt different methods of crop production including mechanical weeding and different schedules of crop rotation. The question has been whether the absence of agrochemicals and the differing methods of food production actually produce safer or more nutritious crops. For more detailed information on this study the abstract has been appended below along with a link to the original study. News that organically grown food is richer in antioxidants is especially encouraging news since there continues to be little evidence that antioxidant supplements have a beneficial effect on health. it appears that not all substances with antioxidant properties have beneficial effects, and in some cases the effects of certain anti-oxidant chemicals can be harmful. 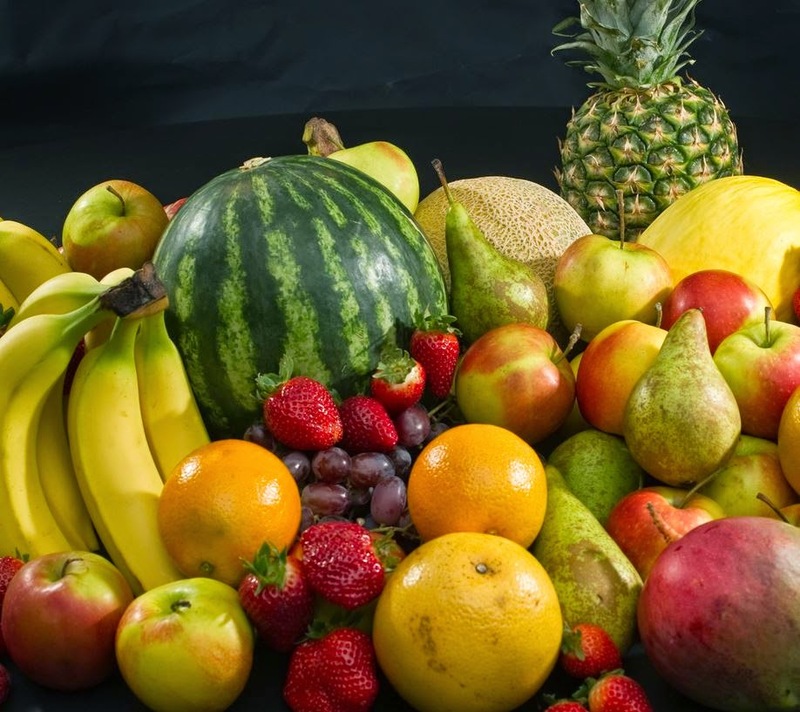 What seems to be important for receiving health benefits from antioxidant substances is to obtain them through fresh fruits and vegetables rather than through supplements. Demand for organic foods is partially driven by consumers’ perceptions that they are more nutritious. However, scientific opinion is divided on whether there are significant nutritional differences between organic and non-organic foods, and two recent reviews have concluded that there are no differences. In the present study, we carried out meta-analyses based on 343 peer-reviewed publications that indicate statistically significant and meaningful differences in composition between organic and non-organic crops/crop-based foods. Most importantly, the concentrations of a range of antioxidants such as polyphenolics were found to be substantially higher in organic crops/crop-based foods, with those of phenolic acids, flavanones, stilbenes, flavones, flavonols and anthocyanins being an estimated 19 (95 % CI 5, 33) %, 69 (95 % CI 13, 125) %, 28 (95 % CI 12, 44) %, 26 (95 % CI 3, 48) %, 50 (95 % CI 28, 72) % and 51 (95 % CI 17, 86) % higher, respectively. Many of these compounds have previously been linked to a reduced risk of chronic diseases, including CVD and neurodegenerative diseases and certain cancers, in dietary intervention and epidemiological studies. Additionally, the frequency of occurrence of pesticide residues was found to be four times higher in conventional crops, which also contained significantly higher concentrations of the toxic metal Cd. Significant differences were also detected for some other (e.g. minerals and vitamins) compounds. There is evidence that higher antioxidant concentrations and lower Cd concentrations are linked to specific agronomic practices (e.g. non-use of mineral N and P fertilisers, respectively) prescribed in organic farming systems. In conclusion, organic crops, on average, have higher concentrations of antioxidants, lower concentrations of Cd and a lower incidence of pesticide residues than the non-organic comparators across regions and production seasons. Recent news accounts of the massive water shut-offs by the City of Detroit has drawn national and international attention to this essential utility that we sometimes take for granted. Over 17,000 residents have had their water shut off in that city for non-payment. About 12% of the 90,000 Detroit utility customers are delinquent by more than 60 days, and nearly half of the water customers are behind in payments (the latter fact according to an LA Times report). Since April of this year the city has targeted shut offs for 4,000 residents per week who are $150 or more in arrears. The delinquency rates aren’t new. Detroit is a shrinking city with lots of poor residents left behind. The city is bankrupt. The aggressive enforcement measures towards those behind in their bill is new. City management official claim that the water and sewer utility has been plagued by corruption, incompetence and inadequate maintenance for decades, and is seriously in debt. The utility’s bond rating is Baa with $5.4 billion in bond obligations. Moody’s Financial Ratio Analysis places the utilities debt ratio at around 90%. Detroit is currently run by an appointed emergency manager selected by the Governor under a controversial new Michigan law. The emergency manager supersedes all elected authority in the city and has nearly absolute power. Pressure to shut off delinquent residential water customers comes under his authority. The move to turn off the water is controversial on several levels. Delinquent commercial and industrial customers are apparently not being targeted for cut offs. Residents claim their bills are excessive and State assistance isn’t forthcoming with any assistance. Community organizations have appealed to the United Nations. The U.N. recognizes access to water as a basic human right and holds that it is a violation of human rights to cut off people who legitimately cannot pay. The Detroit authorities claim that many residents intentionally don’t pay water bills, thus contributing to the crisis, a claim that citizen advocacy groups deny. There are rumors that the municipal owned utility might be sold to a private company, raising suspicions that this has been the plan all along. The water shut off policy has lead to angry street protests. To understand Detroit’s situation it is helpful to step back first and look more broadly at water utilities here and abroad. A 2000 survey by the U.S. Census Bureau found that, “The average annual cost of water and waste water for a household that pays directly for service is $476 per year, ranging from $334 in Nebraska to $721 in Hawaii.” That figure works out to about $40 per month while an EPA website says: “American household spends, on average, only $523 per year on water and waste water charges… ” That works out to a U.S. average of $43.58 per month for water and sewer. “While most Americans worry about gas and heating oil prices, water rates have surged in the past dozen years, according to a USA TODAY study of 100 municipalities. Prices at least doubled in more than a quarter of the locations and even tripled in a few. [snip] Monthly costs topped $50 for consumers in Atlanta, Seattle and San Diego who used 1,000 cubic feet of water, a typical residential consumption level in many areas. There is also a water and sewer industry report prepared in 2012/2013 by Black and Veatch, a private firm. 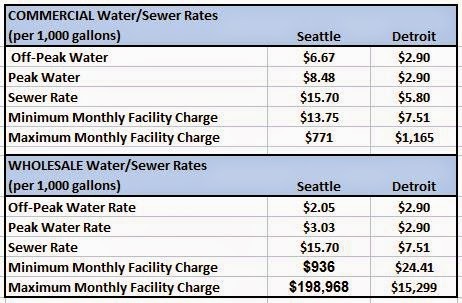 This report says the cost of water in Seattle, for example, was $8.19 per 1.000 gallons, not including the sewer charges. The combined monthly bill for sewer and water in Seattle was $177.93 per month for residential customers using 7,500 gallons, according to this report. Meanwhile in Detroit, according to the Black and Veatch report, the monthly water and combined sewer and water rates for residential customers using 7500 gallons per month was $24.12 and 70.89 respectively. So which figures are correct? It turns out that water and sewer utility prices are deceptively difficult to understand or to compare from city to city. There are different units of measurement, different seasonal schedules, peak and off-peak metering and different rate structures. Also, in cities especially, water and sewer rates are separately billed but inseparable because water use is the measure of sewer use in most cases. Billing is combined. Sewer rates are generally higher, often double the water rates. Comparing water pricing without including sewer pricing can be very misleading. Finally, to get a full picture of a municipal utility overall, it is important to compare the rates for commercial water/sewer uses and the wholesale rates the utility charges industries. The table below directly compares the published water and sewer rates for Detroit and Seattle (converted to dollars/1,000 gallons). Seattle was selected for comparison because it was one of the cities mention in the USA Today article as having the highest rates. The data is from both city websites. 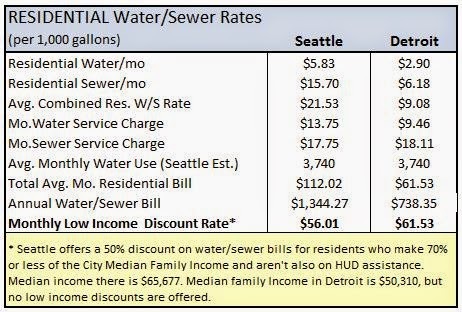 At first look it appears that Seattle water and sewer prices are significantly higher than in Detroit. The average Seattle resident uses 3,740 gallons of water per month for a combined water/sewer bill of $112/mo. compared with $62/mo. in Detroit. But when you take a closer look you see that Seattle has a two tier residential rate. The published rate is for residents who can afford it while those families making less than 70% of the city’s median income receive a 50% discount. The discount only applies to low wage families who aren’t eligible for HUD (Section 8) federal assistance, and the municipal utility actively helps low wage customers apply for federal aid if eligible. They also have programs to help families conserve water and they have very flexible payment plans for any residents who fall behind according to the spokesperson with whom I talked. Shutting off water to a customer would not be considered for residents who owe less than around $1,000. Detroit, a city with a median family income 25% lower than Seattle, has flat rates. It offers no low income discounts. As a result, the average low income water/sewer bill in Detroit is higher than in Seattle. To complete the look at water and sewer utilities in these two cities it is important to compare rates for retail commercial and wholesale water customers as well. The information on the websites is a little more difficult to extract in this area. The graph below is my best attempt. What jumps out here is the different rate structures in these two cities. Commercial rates in Seattle are somewhat higher than in Detroit, the monthly minimum and maximum wholesale facility charges are significantly higher. Seattle also has a peek commercial water rate that is higher than off-peak to encourage conservation. Meanwhile the difference in the maximum and minimum facility charges in the two cities is 13 times and 38 times higher in Seattle. This suggests that there may be some latitude for Detroit to raise commercial and wholesale water/sewer utility rates to help offset the current financial short fall. Additionally, the Detroit utility could also consider raising residential rates for customers who can afford the increase and discounting rates for low wage earners, as Seattle does. In the meantime, Detroit should look at the creative collection alternative already practiced in other states and try to find effective alternatives to shutting off water to so many of the residents they are honor bound serve. Access to water is an essential human right and cutting off resident from water should be a last resort. Just reviewing the rate structure suggests possibilities that may not have been considered yet. How do U.S. water rate compare with the cost of water in other cities around the world? The Organization for Economic Co-operation and Development ( OECD ) conducted two surveys of residential water tariffs in 1999 and in 2007-08, using a reference consumption of 15 cubic meters per household per month. The 2007-08 survey covered more than 150 cities in all 30 OECD member countries. The survey does not claim to be representative. The OECD survey was complemented by a survey of the industry information service Global Water Intelligence (GWI) conducted in 2007-2008 in parallel with the second OECD survey. The 2008 GWI survey covered 184 utilities in OECD countries and 94 utilities in non-OECD countries. GWI has repeated its survey every year from 2009 to 2012, increasing the number of utilities surveyed to 310 in 2012. When you convert the OECE findings to US gallons the results indicate that the average water rate in the 310 global cities surveyed is $7.50/1,000 gallons. The range of water rates vary greatly from $0.11 per 1,000 gal. in Saudi Arabia, to $34.86 per 1,000 gal. in Denmark. Then there are also countries, such as Ireland, where water is delivered to households free of charge. The benchmark for monthly water use in the OECD survey was 15 cubic meters per month, or 3,963 gallons per month, compared with 7,481 gallons per month in the United States. As the graph below shows, U.S. households use more water than do households in most other countries. In the examples above, the difference represents an 88% higher rate of water use in the U.S.
To complete the comparison it is important to acknowledge that higher volumes of water used per household in the US lowers the cost per gallon. In the USA TODAY article, greater conservation of water by customers was named as one of the reasons for higher water rates. 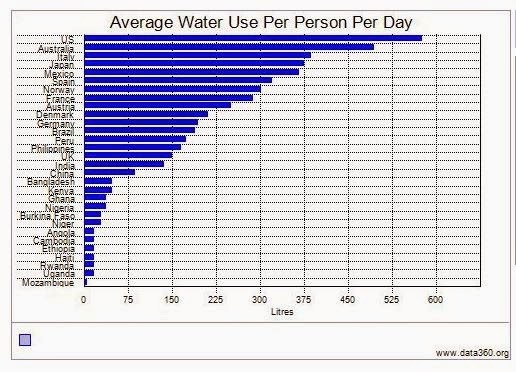 When you factor in the average water use in the US with the benchmark estimate of average monthly use in the OECD study, residents in Atlanta, Seattle and San Diego are paying approximate $50 per month for water while residents in foreign cities are paying about $30 per month. If U.S. water consumption dropped to the lower global levels, residents in the cities mentioned above would pay about $27 dollars per month. 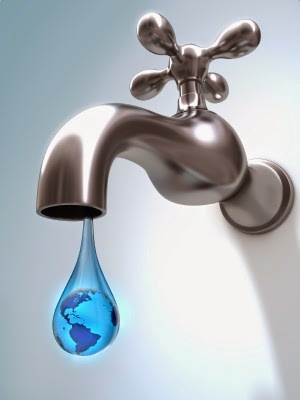 However, lowering water use that much in the U.S. would significantly raise the cost per gallon. There are so many variables and assumptions in all of the underlying data that this is a rough guess. Keep in mind also that the cost of water for the data cited here is for cities, yet it isn’t clear if the figures given include sewer costs. The quality of sewer systems and their associated costs vary greatly, both nationally and across the globe. The best that we can gather from this very rough comparison, then, is the impression that current water rates in the U.S. are somewhat comparable with average global rates. Water is an essential part of our daily life and a human right. It is a finite resource that is growing in scarcity. Social and environment forces are combining to raise water prices everywhere. The trend in rising prices is likely to accelerate as U.S. water conservation become more essential to meet our basic water needs, and this article doesn’t even touch on agricultural where most of our water is used. With scarcity comes increased commercial opportunities and there will be growing pressure to privatize municipal water utilities for profit. Balancing commercial interests with human needs and human rights is a conversation we need to have. Increasing public awareness is critically important for our future and the media will need to do more and better reporting to inform the public. What follows is my abridged version of one of the most significant summaries of research into diet and human health. This article was written by Moises Velasquez-Manoff for Mother Jones in April of 2013. When you go to the full text of this article you will also find a video and other helpful information. The focus of this abridgement is to present the key advances in our understanding of diet, obesity and metabolic syndrome. Omitted are the implications and recommendations with respect to dietary changes. I would recommend that you read the full article at Mother Jones. The URL Web address is below. In 2004 a curious diabetes specialist in Buffalo, New York, named Dr. Paresh Dandona, fed nine normal-weight volunteers an egg sandwich with cheese and ham, a sausage muffin sandwich, and two hash brown patties to see what effect this had on their bodies. He found that levels of a C-reactive protein, an indicator of systemic inflammation, shot up “within literally minutes,” and remained elevated for hours. Inflammation is a natural and important part of our immune system response, but inflammation can also cause collateral damage, especially when the response is overwhelming—like in septic shock—or when it goes on too long. Chronic, low-grade inflammation has long been recognized as a feature of metabolic syndrome, a cluster of dysfunctions that tends to precede full-blown diabetes and that also increases the risk of heart disease, stroke, certain cancers, and even dementia—the top killers of the developed world. The syndrome includes a combination of elevated blood sugar and high blood pressure, low “good” cholesterol, and an abdominal cavity filled with fat, often indicated by a “beer belly.” Could chronic systemic inflammation (CSI), in fact, be a major cause of metabolic syndrome disorder? A fast-food breakfast inflamed, he found, but a high-fiber breakfast with lots of fruit did not. A breakthrough came in 2007 when he discovered that while sugar water, a stand-in for soda, caused inflammation, orange juice—even though it contains plenty of sugar—didn’t. This time, along with their two-sandwich, two-hash-brown, 910-calorie breakfast, one-third of his volunteers—10 in total—quaffed a glass of fresh OJ. The non-juice drinkers, half of whom drank sugar water, and the other half plain water, had the expected response—inflammation and elevated blood sugar. But the OJ drinkers had neither elevated blood sugar nor inflammation. The juice seemed to shield their metabolism. “It just switched off the whole damn thing,” Dandona says. Other scientists have since confirmed that OJ has a strong anti-inflammatory effect. What caught Dandona’s attention was increased blood levels of a substance called endotoxin. This molecule comes from the outer walls of certain bacteria. If endotoxin levels rise, our immune system perceives a threat and responds with inflammation. Where had the endotoxin come from? We all carry a few pounds’ worth of microbes in our gut, a complex ecosystem collectively called the microbiota. The endotoxin, Dandona suspected, originated in this native colony of microbes. Somehow, a greasy meal full of refined carbohydrates ushered it from the gut, where it was always present but didn’t necessarily cause harm, into the bloodstream, where it did. But orange juice stopped that translocation cold. Scientists now suspect that our microbial communities contribute to a number of diseases, from allergic disorders like asthma and hay fever, to inflammatory conditions like Crohn’s disease, to cancer, heart disease, and obesity. As newborns, we encounter our first microbes as we pass through the birth canal. Until that moment, we are 100 percent human. Thereafter, we are, numerically speaking, 10 percent human, and 90 percent microbe. Our microbiome contains at least 150 times more genes, collectively, than our human genome. Scientists now suspect that our microbial communities contribute to a number of human diseases, from allergic disorders like asthma and hay fever, to inflammatory conditions like Crohn’s disease, to cancer, heart disease, and obesity. As newborns, we encounter our first microbes as we pass through the birth canal. Until that moment, we are 100 percent human. Thereafter, we are, numerically speaking, 10 percent human, and 90 percent microbe. Our microbiome contains at least 150 times more genes, collectively, than our human genome. Sometime in childhood, the bustling community of between 500 and 1,000 species stabilizes. Our stool is roughly half living bacteria by weight. Every day, food goes in one end and microbes come out the other. The human gut is roughly 26 feet in length. Hammered flat, it would have a surface area of a tennis court. Seventy percent of our immune activity occurs there. The gut has its own nervous system; it contains as many neurons as the spinal cord. About 95 percent of the body’s serotonin, a neurotransmitter usually discussed in the context of depression, is produced in the gut. So the gut isn’t just where we absorb nutrients. It’s also an immune hub and a second brain. And it’s crawling with microbes. They don’t often cross the walls of the intestines into the blood stream, but they nevertheless change how the immune, endocrine, and nervous systems all work on the other side of the intestine wall. Science doesn’t know exactly what goes wrong with our microbes in disease situations but a loss of intentional microbe diversity appears to correlate with the emergence of illness. Children in the developing world have many more types of microbes than kids in Europe or North America yet develop have fewer allergies and less asthma. In the developed world, children raised in microbially rich environments—with pets, on farms, or attending day care—have a lower risk of allergic disease. Some studies find that babies born by C-section, deprived of their mother’s vaginal microbes at birth, have a higher risk of celiac disease, Type 1 diabetes, and obesity. Early-life use of antibiotics—which tear through our microbial ecosystems like a forest fire—has also been linked to allergic disease, inflammatory bowel disease, and obesity. Those who study human microbial communities fret that they are undergoing an extinction crisis. If our microbiota plays a role in keeping us healthy, then how about attacking disease by treating the microbiota? After all, our community of microbes is quite plastic. New members can arrive and take up residence. Old members can get flushed out. Member ratios can shift. So the microbiota represents a huge potential leverage point in our quest to treat, and prevent, chronic disease. In particular, the “forgotten organ,” as some call the microbiota, may hold the key to addressing our single greatest health threat: obesity. One-third of Americans are now considered overweight, and another third obese. Worldwide, one-fourth of humanity is too heavy, according to the World Health Organization. One-third of Americans are now considered overweight, and another third obese. Worldwide, one-fourth of humanity is too heavy, according to the World Health Organization. The long-dominant explanation is simply that too little exercise and too many calories equals too much stored fat. The solution: more exercise and a lot more willpower. But there’s a problem with this theory: In the developed world, most of us consume more calories than we really need, but we don’t gain weight proportionally. If you run a daily surplus of just 500 calories you should gain a pound of fat per week, but we either gain weight much more slowly, or don’t gain weight at all. Some corpulent people, meanwhile, have metabolisms that work fine. Their insulin and blood sugar levels are within normal range. Their livers are healthy, not marbled with fat. And some thin people have metabolic syndrome, often signaled by a beer gut. They suffer from fatty liver, insulin resistance, elevated blood sugar, high blood pressure, and low-grade, systemic inflammation. From a public health perspective, these symptoms are where the real problem lies—not necessarily how well we fit into our jeans. In one study, mice raised without any intestinal microbes could gorge on food without developing metabolic syndrome or growing obese. But when colonized with their native microbes, these mice quickly became insulin resistant and grew fat, all while eating less food. Another researcher suspected that low-level inflammation might be the cause for this. To prove the principle, he gave mice a low dose of endotoxin, that molecule that resides in the outer walls of certain bacteria. The mice’s livers became insulin resistant; the mice became obese and developed diabetes. A high-fat diet alone produced the same result: Endotoxin leaked into circulation; inflammation took hold; the mice grew fat and diabetic. Then came the bombshell. The mere addition of soluble plant fibers called oligosaccharides, found in things like bananas, garlic, and asparagus, prevented the entire cascade—no endotoxin, no inflammation, and no diabetes. Oligosaccharides are one form of what’s known as a “prebiotic”. Cani had essentially arrived at the same place as Dandona with his freshly squeezed orange juice. Junk food caused nasty microbes to bloom, and friendly bugs to decline. Permeability of the gut also increased, meaning that microbial byproducts—like that endotoxin—could more easily leak into circulation and spur inflammation. Simply adding prebiotics—in this case, Bifidobacteria—kept the gut tightly sealed, preventing the entire cascade. Our sweet and greasy diet changes gut permeability and alters the makeup of our microbial organ. Our “friendly” community of microbes becomes pathogenic, leaking noxious byproducts where they don’t belong. Probiotics are bacteria thought to be beneficial to digestion, like the lactobacilli and other bacteria in some yogurts. In the future probiotics might be bacteria derived from those found in Amazonian Indians, rural Africans, even the Amish—people, in other words, who retain a microbial diversity that the rest of us may have lost. Ultimately, the strongest evidence to support microbial involvement in obesity may come from a procedure that, on the face of it, has nothing to do with microbes: gastric bypass surgery. The surgery, which involves creating a detour around the stomach, is the most effective intervention for morbid obesity—far more effective than dieting. Originally, scientists thought it worked by limiting food consumption. But it’s increasingly obvious that’s not how the procedure works. The surgery somehow changes expression of thousands of genes in organs throughout the body, resetting the entire metabolism. In March, Lee Kaplan, director of the Massachusetts General Hospital Weight Center in Boston, published a study in Science Translational Medicine showing a substantial microbial contribution to that resetting. He began with three sets obese mice, all on a high-fat diet. The first set received a sham operation—an incision in the intestine that didn’t really change much, but was meant to control for the possibility that trauma alone could cause weight loss. These mice then resumed their high fat diet. A second set also received a sham operation, but was put on a calorically restricted diet. The third group received gastric bypass surgery, but was then allowed to eat as it pleased. As expected, both the bypass mice and dieted mice lost weight. But only the bypass mice showed normalization of insulin and glucose levels. Without that normalization, says Kaplan, mice and people alike inevitably regain lost weight. To test the microbial contribution to these outcomes, Kaplan transplanted the microbiota from each set to germ-free mice. Only rodents colonized with microbes from the bypass mice lost weight, while actually eating more than mice colonized with microbes from the other groups. In humans, some studies show a rebound of anti-inflammatory bacteria after gastric-bypass surgery. Dandona has also noted a decline in circulating endotoxin after the procedure. If we understand the mechanism by which the microbiota shifts, he says, perhaps we can induce the changes without surgery. NOT EVERYONE ACCEPTS that inflammation drives metabolic syndrome and obesity. And even among the idea’s proponents, no one claims that all inflammation emanates from the microbiota. Moreover, if you accept that inflammation contributes to obesity, then you’re obligated to consider all the many ways to become inflamed. The odd thing is, many of them are already implicated in obesity. Exercise, meanwhile, is anti-inflammatory, which may explain why a brisk walk can immediately improve insulin sensitivity. Exercise may also fortify healthy brown fat, which burns off calories rather than storing them, like white fat does. This relationship may explain how physical activity really helps us lose weight. Yes, exercise burns calories, but the amount is often trivial. Just compensating for that bagel you ate for breakfast—roughly 290 calories—requires a 20-minute jog. Then there’s the brain. Michael Schwartz, director of the Diabetes and Obesity Center of Excellence at the University of Washington in Seattle, has found that the appetite regulation center of the brain—the hypothalamus—is ofteninflamed and damaged in obese people. He can reproduce this damage by feeding mice a high-fat diet; chronic consumption of junk food, it seems, injures this region of the brain. Crucially, the brain inflammation precedes weight gain, suggesting that the injury might cause, or at least contribute to, obesity. In other words, by melting down our appetite control centers, junk food may accelerate its own consumption, sending us into a kind of vicious cycle where we consume more of the poison wreaking havoc on our physiology. Of course there’s a genetic contribution to obesity. But even here, inflammation rears its head. Some studies suggest that gene variants that increase aspects of immune firepower are over-represented among obese individuals. In past environments, these genes probably helped us fight off infections. 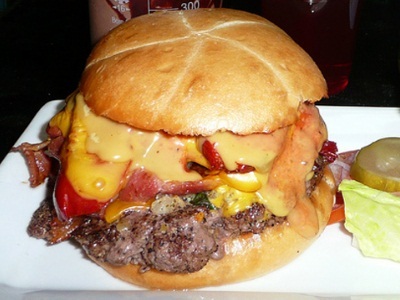 In the context of today’s diet, however, they may increase the risk of metabolic syndrome. Biologically simple, processed foods may cultivate a toxic microbial community, not unlike the algal blooms that result in oceanic “dead zones.” In fact, scientists really do observe a dead zone of sorts when they peer into the obese microbiota. Microbes naturally form communities. In obese people, not only are anti-inflammatory microbes relatively scarce, diversity in general is depleted, and community structure degraded. Microbes that, in ecological parlance, we might call weedy species—the rats and cockroaches of your inner world—scurry around unimpeded. What’s the lesson? Junk food may produce a kind of microbial anarchy. Opportunists flourish as the greater structure collapses. Cooperative members get pushed aside. And you, who both contain and depend on the entire ecosystem, pay the price.